That question was once easily answered in our area, and throughout the country, up until the mid 1990’s. Mills were once common place, and a part of the tapestry of our textile culture and economic base. Now, well… things have changed. The big local mills, with their average annual 5% profits are gone. The lure of 20% margins that come from cheap labor in developing countries, led most, if not all the big manufacturers overseas. As a consequence of the exodus, so went jobs, and an ability for Americans to make their own textiles, even though our farms and ranches continue to produce top quality fiber. 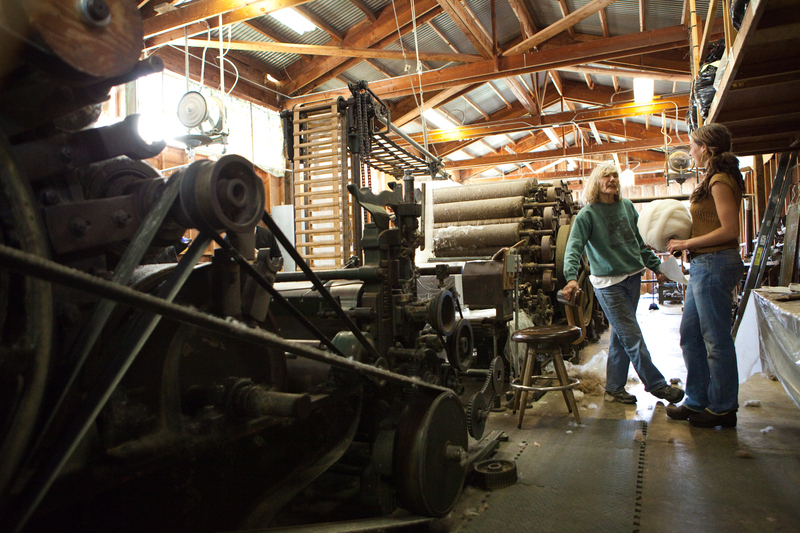 Our Fibershed project, and our community as a whole is blessed with the presence of one small and well-maintained mill. 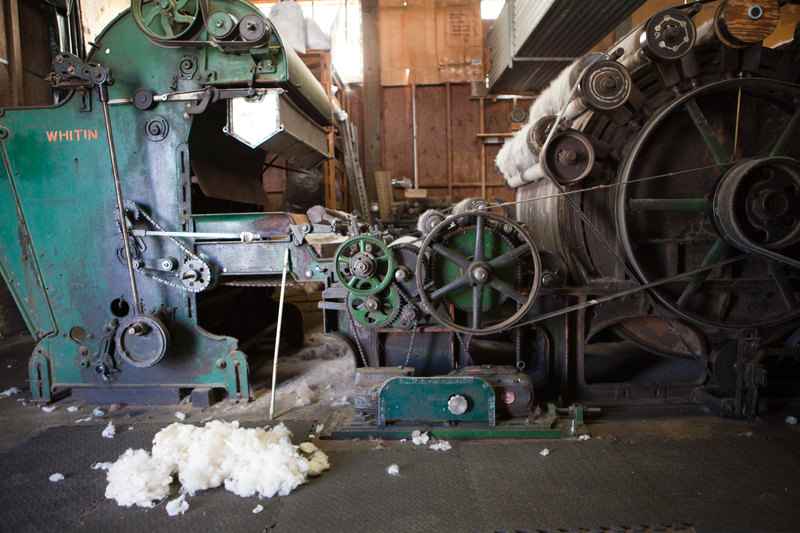 The old machines turn out hundreds of pounds of local animal-based yarns and roving for the local farmers and ranchers who raise sheep, alpaca, and mohair in our region. These processed local fibers are then sold as raw materials to local artisans for a range of textile projects. 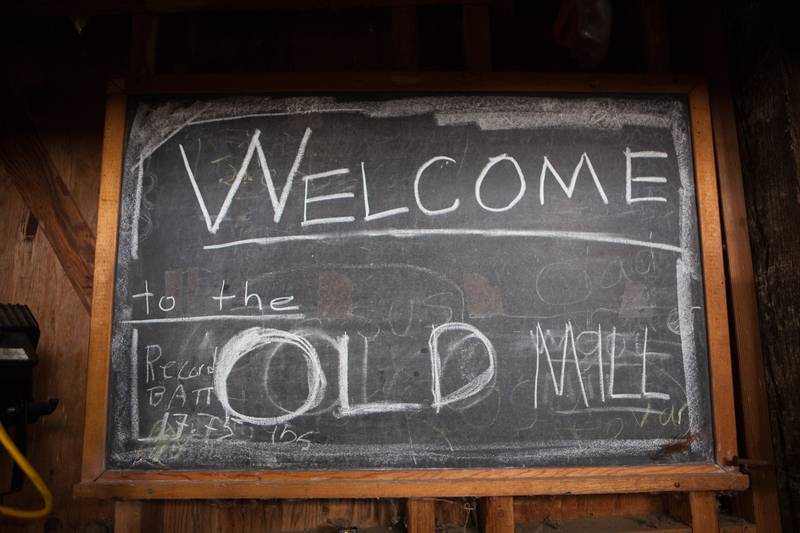 Owned and operated by Dreamer and her six dedicated employees, the Yolo Mill opened its doors in 1991, a time when others were closing down. 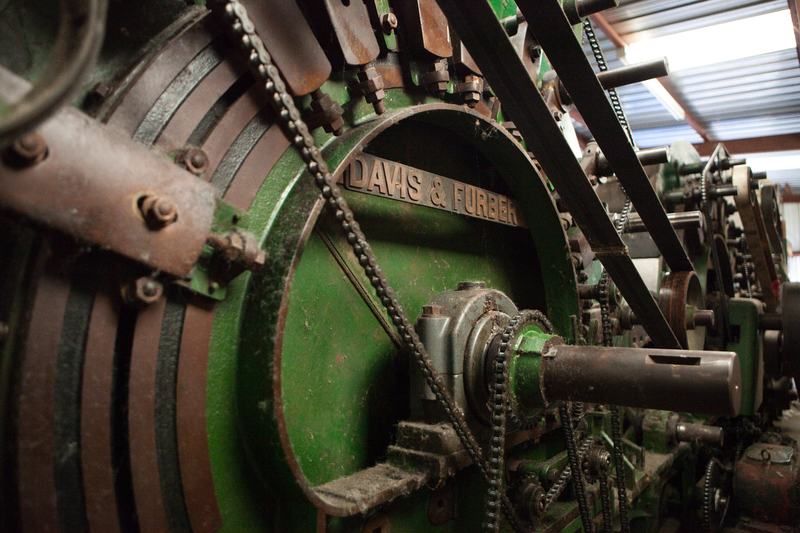 The biggest machines in the mill came to Dreamer from two American companies– Davis and Furber, and Whitin. The carding machine below was built in 1923 and still works like a charm. ‘The only issue is that now that Davis and Furber and Whitin aren’t doing business anymore, all the replacement parts need to be re-created, the guys in the local welding shop say, ‘Oh boy, here comes Jane,’ because I’m always needing some crazy part fabricated,’ Dreamer said in an amused tone. 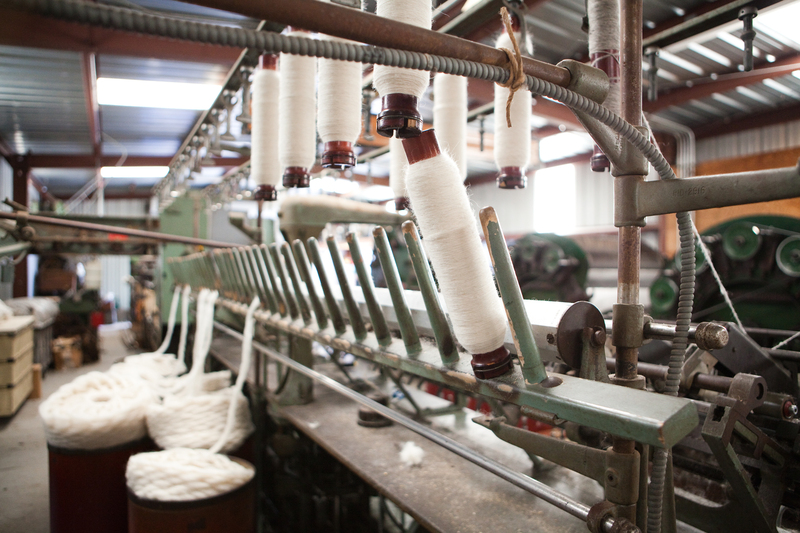 Dreamer has retrofitted and repaired machines continuously over the years to make sure that the operation continue to supply high grade combed, cleaned, and spun fibers for the community. She uses a Whitin spinning frame built in the 1950’s that came to her via a USDA research facility that was shutting down. ‘It spins one direction so all of our single ply yarns are created on it, and then we have another frame that will spin two-directions… that’s how we make two-ply yarns,’ said Dreamer. 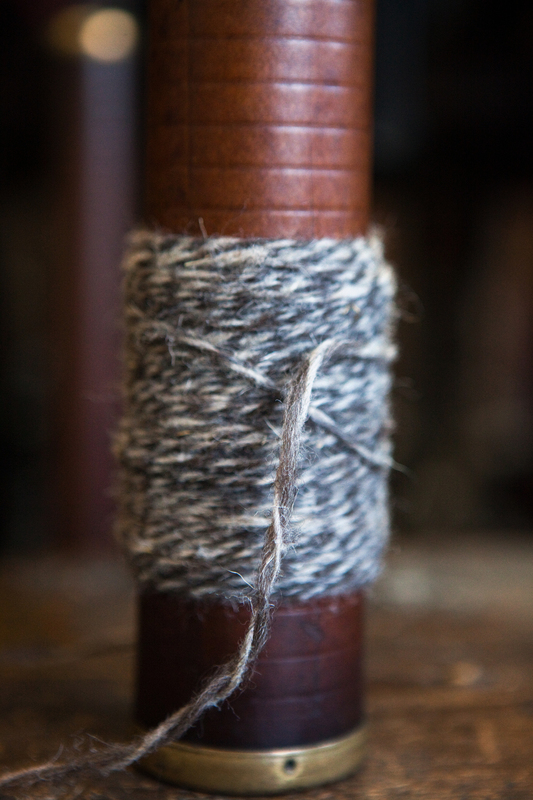 The yarns and rovings that come from Dreamer’s mill are generally sold within our own region, and can be purchased directly from the ranchers and farmers, via farmer’s markets, websites, as well as farm visits. 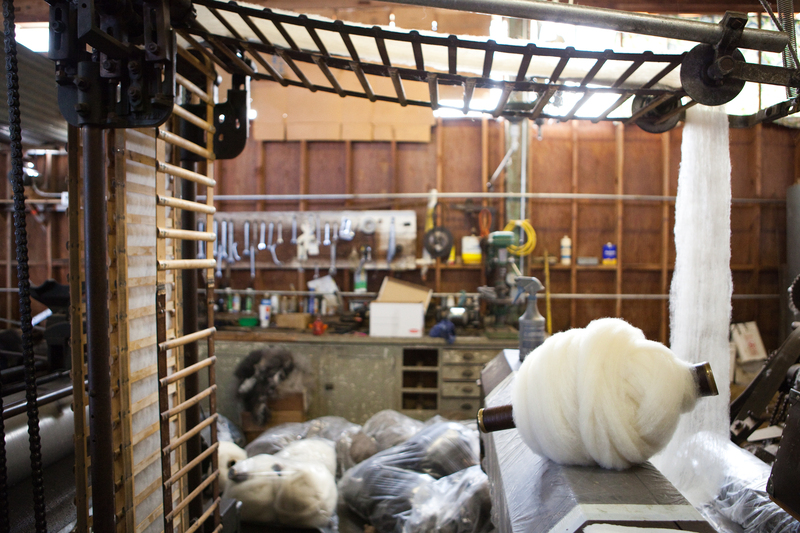 The cornerstone of Yolo Mill’s business comes from these small local fiber producers. The average farm or ranch bringing their fiber for processing is diversified with a range of income streams. Fiber sales in conjunction with the sale of other agricultural products is how many modern agriculturalists remain financially solvent. 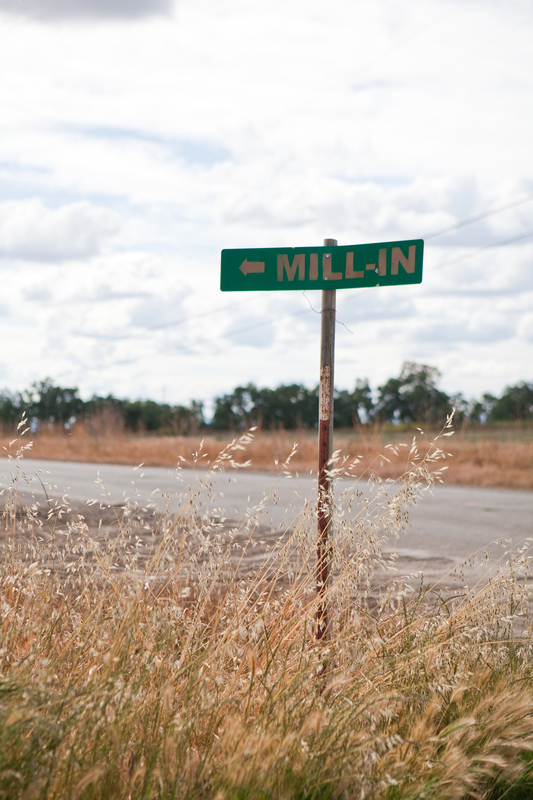 Looking to the future of the Mill and those that rely on it… if we were to expand our local textile market, and even begin to process all of the fibers that our region has to offer, ideally, Jane’s mill would be one of several… all busy and bustling with plenty of work. There is currently no shortage of fiber, however milling those fibers can be a slow and patient process . With one mill, and six total employees covering a large agricultural bio-region, there are inevitable challenges to the creation of a humming supply chain. To make local organic clothes a viable solution within the movement towards greater ecologic and economic balance, we will need more mills… A challenge?.. well, of course… but perhaps viewed as an opportunity, we will begin to entrust ourselves again with the responsibility of creating one more facet of our material culture. Beyond the obvious benefits of local production for the local economy, there are the quiet and less obvious attributes of working in the way that Dreamer and her employees do. The open air facilities, the calm and spaciousness of the landscape where the mill has been built, and the human pace that permeates the work. 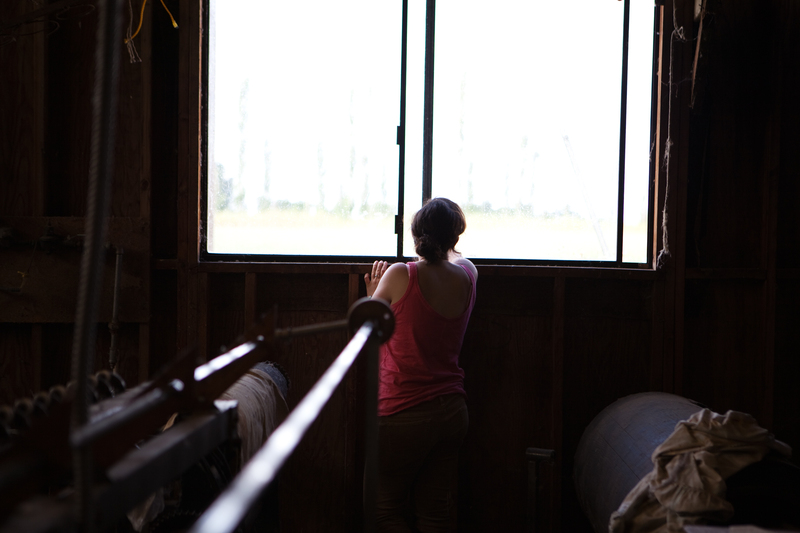 Those working at the mill engage in a rhythm of physical movements that carry an air of meditative mobility, without the slightest notion of exploitation or rush. It seems there would be only benefit to re-introducing jobs into our workforce that allow people to move, and healthfully re-engage with their bodies once more. 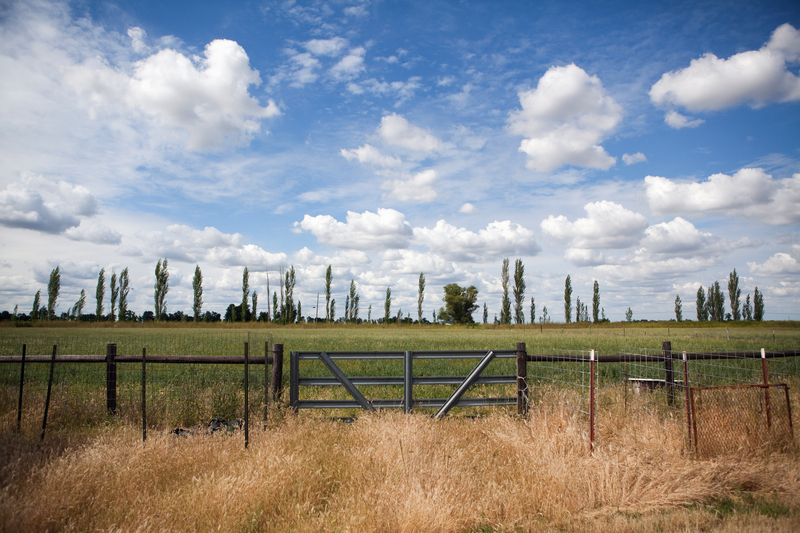 More on our visit to the Central Valley coming soon… stay tuned. Thank you Paige Green for the incredible photography and Zoe Minikes for your filming! So encouraging! I love this post.